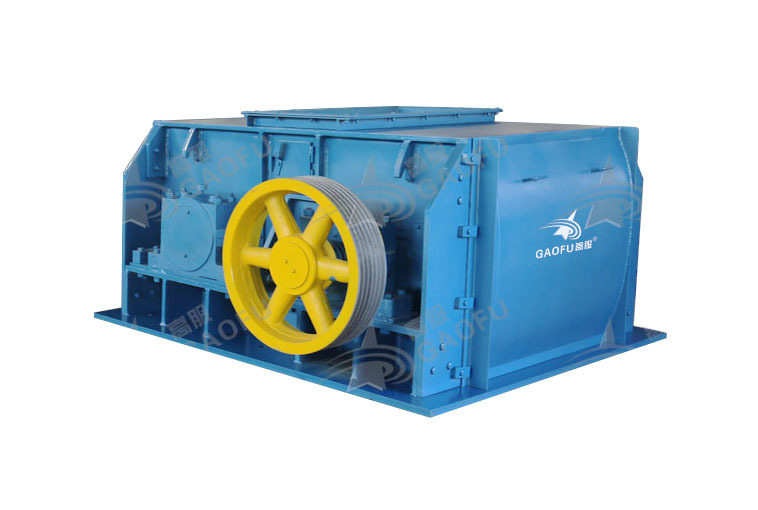 Relative roller differential speed operation with mutual scraping action, because of its higher running speed, and also has role of "former pulling back pressure, former blowing back inhaling", the crusher has no requirement of moisture and mud content in any time, will not affect the crushing effect. Material is always all into the whole out to ensure overfill force. Crushing rate low, grain size fine: adopting combined crushing but not impact and strike breaking, it will not produce secondary crushing phenomenon, so crushing rate very low. Two teeth roller center distance will not change once fixed, the materials will be hard crushed instantly, almost no repeat broken, to ensure uniform granule. Screen and crush together, a small investment: two teeth roller relative rotation form rotary space lattice sieve. To achieve the double effect of crushing and screening, one machine can complete the crushing and screening work. So, you don’t need to match the screening equipment, simplifying system, reduce investment cost. 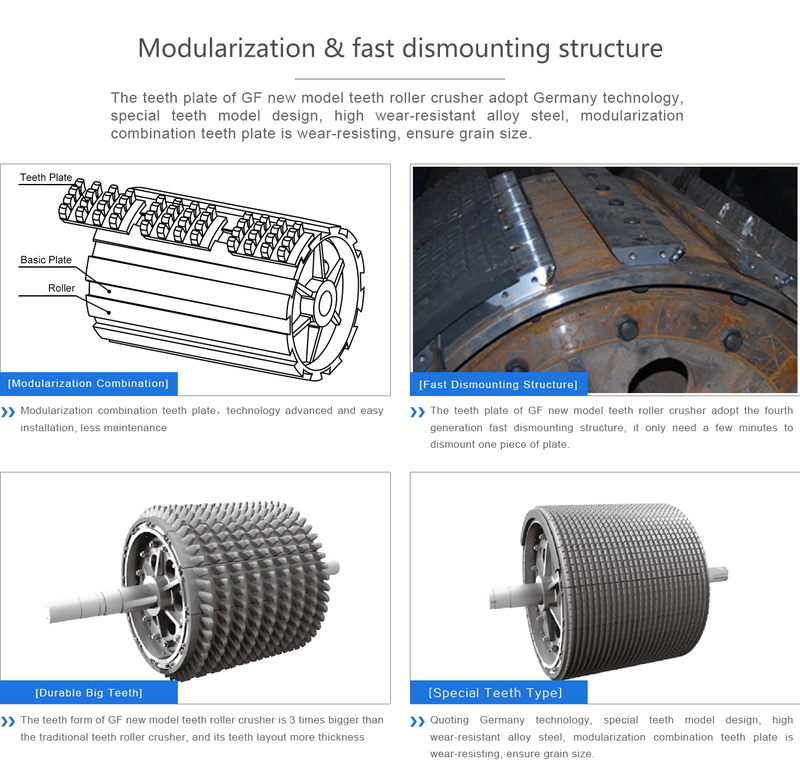 Handwheel or hydraulic structure can adjust the discharging granularity quickly.The equipment adopt modular architecture, can be divided remote installation according to the site requirement, or customer can choose assembly installation, so as to lift and maintain conveniently. Standard modular composite teeth plate more interchangeability and versatility, greatly reduce the replacement cycle of the teeth plate and operating costs. Input size≤350mm, the outlet between 3-50 mm can be freely adjusted, a crushing ratio can reach 50.GF crusher machine energy consumption has a function of reserve and kinetic energy release.Less than 0.03mm amplitude and below 70 decibels noise, the micro positive pressure and all enclosed structure forms, completely eliminate the work-site "three evils" phenomenon, prevent workers silicosis, it is truly environmentally friendly products. 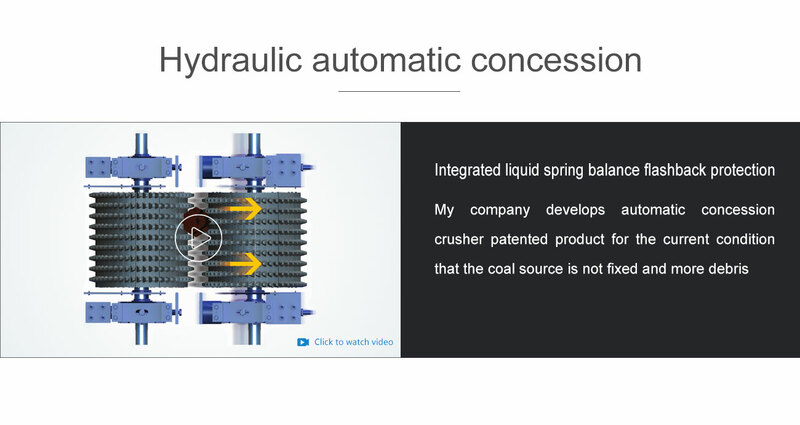 My company develops automatic concession crusher patented product for the current condition that the coal source is not fixed and more debris . When the wood and other non-magnetic alloy or rubber and other flexible objects can not be broken in the crusher, the two roller quickly and automatically retreat parallel to the above materials, and then quickly returned to the original gap position, to keep continuous operation. Teeth roller coal crusher principle is: the fuel enter from up, and discharge directly from bottom outlet, without secondary crushing. To achieve the crushing purpose through crushing and screening by snap action between teeth, the grain evenly, over powder rate is very low, and its broken particle size can be quickly adjusted by the screw, to fully meet the requirements of coal-fired fluidized bed boiler, to avoid fly ash waste. 100% size guaranteed! Hammer crusher, due to repeatedly hammering the fuel, the over crushed situation is more serious, finest material without adequate fuel will fly out, resulting in a tremendous resources waste. If calculate according to waste two thousandths per day, 700 tons of fuel was wasted a year, the direct economic loss will up to $ 800,000. GF new teeth roller crushers is differential operation between two rollers, it can clean up material between two rollers, so as to prevent clogging phenomenon,100% non-stick non blocked! Hammer crusher has mandatory requirements for fuel moisture, if the moisture more than 6%, the teeth plate will be clog, then the capacity will be lower, if the moisture reached about 10%, the production capacity will be reduced to 1/3 of the rated capacity. Teeth roller crusher is a slight negative pressure operation mode, no noise, no dust spills, 100% environmental health. Hammer crusher’s working principle, resulting in a positive pressure airflow, severe dust pollution; its mechanical vibration can cause serious noise pollution; direct harm to staff’s physical and mental health. 1. Teeth roller Crusher can save electricity 480,000 yuan than the hammer crusher each year(In Case of 250TlH crusher). 2. 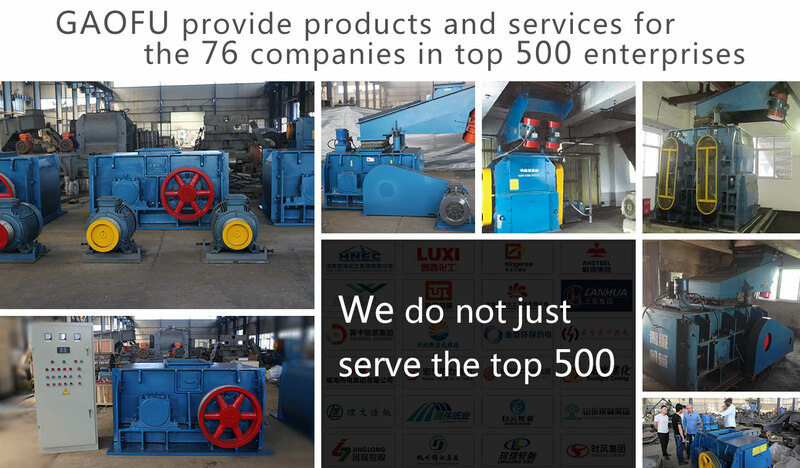 Hammer crusher needs to increase: dust collector, vibrating screen, heater, broken building civil engineering and other costs bigger than RMB 300,000. 3. Hammer crusher presence of noise, dust, coke and other environmental problems, which bring inconvenience for normal operation, bring hidden dangers for the health of employees. 4. Because the hammer crusher structure principle cause the material too easy to smash, bringing uncertainty to the circulating fluidized bed boiler for its normal working. This machine is composed by frame, gear roller, transmission device and gear roller gap adjustment device and so on. Adopting alternating current motor to drive the coarse broken tooth roller on the both sides by the strong triangular belt respectively, so that the coarse broken tooth roller rotates in opposite directions. After the material enters the crushing chamber from the inlet, the two coarse roller is broken by a variety of different combinations broken which are rotated at a high speed, the partical size can be reach to around 6mm after fine broken, the size of particle size can be adjusted by fine teeth roller gap to complete. Shanxi Lanhua Sci-tech Venture Co., Ltd.